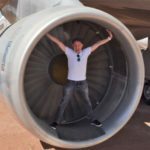 Recently, I had the opportunity to fly from London to Chicago on Virgin Atlantic in Virgin’s swanky Upper Class for only 25,000 Elevate points one-way. Elevate is the frequent flyer program of US-based Virgin America. All three Virgin airlines (Virgin America, Atlantic, Australia) allow their frequent flyers to redeem on the three Virgin airlines. To put 25,000 Virgin America Elevate points into perspective, 25,000 Elevate points is essentially worth $500 in Virgin America flight redemptions. $500 is typically the price of a one-way flight in First Class from Chicago to Los Angeles on Virgin America. Now, your biggest concern is probably that you never fly Virgin America and don’t travel enough to possibly rack up 25,000 Elevate points. That’s probably true. This is where American Express Membership Rewards comes into play. Now, I’ll admit, I’m writing this post just following a fantastic promotion between Virgin American and American Express. Essentially, during this promotion, the conversion rate from American Express Membership Rewards points to Elevate points was 0.75 Elevate points for every 1 MR point. Unfortunately, now the conversion rate is 1 Elevate point for every 2 MR points. So, the current 1:2 conversion rate isn’t nearly as good as the deal I scored back in September but, it’s still fantastic. Also, keep a look out for this promotion to return in the future. Using the current conversion rate of 2 MR points for every 1 Elevate point, you’ll need 50,000 American Express Membership Rewards points to earn 25,000 Elevate points. 50,000 Membership Rewards points is very close to $500 in cash, especially if you were booking a flight directly on the American Express Membership Rewards site. So, the price is close to $500 to fly in Virgin Atlantic’s Upper Class one-way. Of course, depending on class of service and the route, fuel surcharges vary from $200 to $750. This is a fantastic deal as it’s almost impossible to find Virgin Atlantic’s Upper Class for under $3,000 one-way. However, keep in mind, 25,000 Elevate points only gets you so far. Notable routes that require 25,000 Elevate points (50,000 MR points) include Chicago to London, Miami to London, Cancun to London, and Atlanta to Manchester. Flights between San Francisco and London and Los Angles and London will run you 30,000 Elevate points (60,000 MR points). All fares quoted are one-way flights in Upper Class. 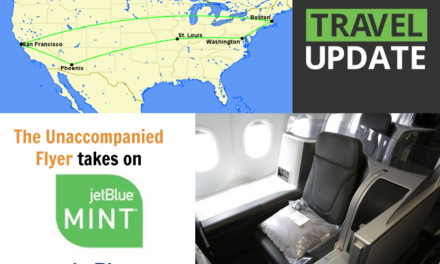 Round-trip will cost twice as much as a one-way ticket and economy and premium economy redemptions are greatly discounted compared to Upper Class. It should also be noted that Virgin Atlantic and American Express are also transfer partners, however, the conversion rate is 1:1 which sounds like it’s a better deal. 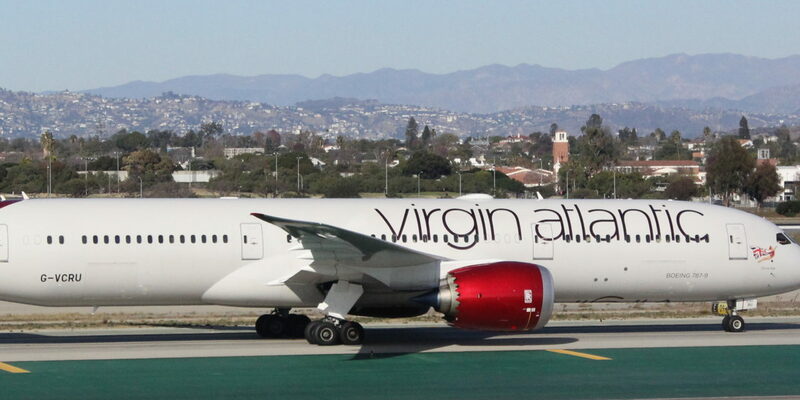 This is not always the case as Virgin Atlantic’s Flying Club prices award travel much differently than Virgin America does for partner travel. It should be noted that Virgin America Elevate members are subject to award space availability and fuel surcharges/taxes. Virgin Atlantic’s ultra-lux Upper Class is a phenomenal business class product. However, a ticket in Upper Class comes at a pretty steep price. Using American Express Membership Rewards points, you can fly in Upper Class for roughly 50,000 Membership Rewards points (~$500) one-way, plus fuel surcharges. Needless to say, this a tremendous deal as Upper Class tickets are often priced at over $5,000 one-way. Follow the steps above to get the required amount of points transferred over to your Elevate account and within minutes; you should be ready to book a steeply discounted ticket in Virgin Atlantic’s Upper Class. Have you ever tried booking Virgin America award redemptions on partner airlines? Do you plan on transferring American Express Membership Rewards points to your Elevate account in the future? Odd, I mention “fuel surcharges and taxes” multiple times in this post. I never specified an amount because it varies from $200 to $750. I’ll be honest, I’ll add a note though, I do mention extra fees multiple times. I know you mentioned the fees. But a lot of airlines’ fees are ~$50 and not a deal breaker. When ANY flight departing LHR on VS upper class will have at LEAST $400 in fees, I think it deserves more of a mention. Just trying to help out newer readers–just like you. Yep, I should have included it, I agree. Yep, I remember seeing a $750 charge for a route from LHR to the US west coast. $200 was the lowest I remember seeing. Actually you mention it just once, merely stating in passing that there’s a possibility of them. The low number of miles is mentioned a lot though. On a more serious note, Elevate website clearly states that LHR to ORD Upper Class is $635 in taxes!!! That and 50k MR points it would typically take is worth over $2000 in my valuation. Way too much… might as well pay cash. Agree with Jake, dishonest post, and typical of clickbait and sensationalism that’s overtaking Boardingarea. All in the name of pushing a few CC signups. Haha, I don’t get any credit card referrals. I don’t even get ad revenue. I simply made a mistake in not including the specific fuel surcharge. I paid under $350 one-way. Also, it’s 35000 elevate points, not 25000….nvm, that was round trip vs one way.